Much as I love it, South Australia is a mere microcosm of the developed world. To the best of my knowledge we are famous for wine, Don Bradman and serial killers. We have also produced a few fine scientists like Howard Florey, and were really early in women’s suffrage, but I digress. My point is I am under no illusion as to how (in)significant we are down here. However, I have been both witness and privy to a political process that is likely to be repeated across the developed world regarding the critical decisions that need to be made for our energy future. It has not been pretty, but it has been instructive and other liberal democracies should pay attention. DSA readers will recall my request for co-signatories for a letter to Mitch Williams, our Deputy Opposition Leader and Energy Spokesperson, who was quoted making unequivocal statements in support of the consideration of nuclear power as part of our energy future. I was pleased to see this hit the press. Now, not long after I made that request, a local DSA subscriber let me know that he had caught up with Mitch Williams and asked him about those statements. According to my friend, the back-pedalling had already started. He was taken out of context apparently. This was not encouraging. 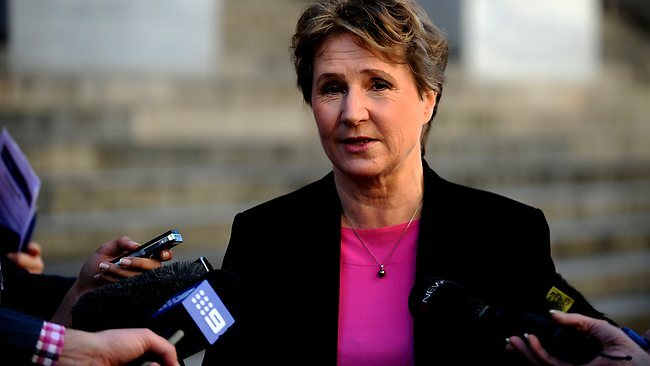 Fast forward to a few weeks ago, and the Leader of the State Opposition, Isobel Redmond, made a public presentation on future energy investments in South Australia, with gas tri-generation as the centrepiece. At the same time, Ms Redmond ruled out nuclear power as an option for SA, saying it was still too expensive and “I don’t think this country will ever move towards nuclear power until both major parties take the politics out of the debate”. “I have had discussion with people who are pro-nuclear but even they think, given our population and the cost, nuclear power is still not a viable alternative for this state,” she said. Quite who in South Australia the Opposition Leader is taking her information from about nuclear, I do not know. But this is not a position DSA holds, and the effective, nay essential role of nuclear power as the most cost effective zero-carbon power source for the State has been discussed at this site at length. This is an unfortunate change of position from the Opposition, who just earlier this year seemed set to challenge the State Labor Leader’s dogmatic refusal (contrary to the position of senior members of the party itself) to reap further economic gain from our mineral resources by expanding our involvement in the nuclear fuel cycle to enrichment or power generation. This is a position of gob smacking hypocrisy as this same Government spruiks the benefit of an impending quadrupling of our uranium production courtesy of the expanded Olympic Dam. Outgoing Premier Mike Rann. Under his Government we have been encouraged to dig up, process and export uranium, the more the better. That is "Good". We cannot enrich it to a more useful condition or use it ourselves for clean, zero carbon power. That is "Bad". The Opposition Leader’s apparently favoured pathway, a feasibility study for gas trigeneration, may lead to some efficient, much lower carbon energy to specific inner city locations. It will also do nothing whatsoever to displace our major generation stock, and further commit us to a pathway of building a whole new generation of centralised fossil base load. This is not the path South Australia should be treading. This infrastructure, which lives for 50 years or more, will give us maximum exposure to both the very carbon price the Opposition Leader describes as “economically insane”, as well as very likely steep rises in the cost of gas. Politically, South Australia is now poised to enjoy another argument about nothing at all. How do you like your fossil fuels? Labor flavoured or Liberal? The directions being locked in for baseload energy by the major parties are indiscernible. The consequences will be inexcusable. Now, what has transpired here is hardly something complex from the brain of Aaron Sorkin. A political party has tested the water on nuclear power and found it way, way too hot. So hot in fact that I received no response to my letter whatsoever. They have backtracked to wherever they have been told is “safe”. I am not naive. Politics is a process of people manoeuvring to gain power. The dominant paradigm appears to be one of endless compromise and minimum risk taking in the pursuit of high Office, under the expectation that change only occurs from the seat of power. I disagree. Powerful mandates are secured from powerful Oppositions who have the courage to differentiate when they are out of power. Otherwise, a political party takes office with a mandate for banal, mediocre, unimaginative and reform-free policies. That is the bed our politicians make for themselves by being too frightened of the voter block to create a challenging dialogue of genuine reform. It is the reason the “safe” place is the most dangerous place of all: the place where you are indistinguishable from the other guys, waiting patiently for them to get so on the nose that a change of Government becomes inevitable. My engagement with South Australia’s political leadership has, so far, been quite limited. But it has been very consistent. The message that keeps coming back from the political class about nuclear power in South Australia can be summed up thusly: The only thing wrong with nuclear power is that it is an electoral liability. Not finance. Not environmental impact. Not health concerns. Not reliability. Electoral liability. I think there are two basic responses to this realisation. Both are true and valid. But only one is empowering. The first is to bemoan the state of our short-term political system, where leadership and vision come a distant second to the safest route to either winning or maintaining office. There is nothing untrue about that notion; spend any time on it though, and your agency will be sapped to zero. The other response is to twig to the fact that nothing is standing in the way of South Australia fixing this problem, and leading the world in clean electricity generation, than the word of South Australians. That’s us. It is futile to wait until the political climate is “right” for nuclear power. We make it right by bringing the vision to our fellow citizens, getting them on board, and telling our political leaders that there is now safe space to talk about it. Those of us who have done the time looking at the climate crisis and the energy options available to us will know that once you start talking honestly and openly about nuclear power, it speaks very nicely for itself. So that’s our current priority challenge; build the conversation on nuclear power at the citizen level in South Australia, and create safe space for conversation at the political level. It’s the first step in taking nuclear power from electoral liability to electoral possibility, and then electoral certainty. I need to respect the guy who wrote that and not dwell on this set-back. My kids won’t thank me. I need to redouble my efforts in building the conversation in South Australia. We will lead our politicians in this enterprise. It will not be the other way around. We need a movement that is growing and making its voice heard so that our politicians will have the courage to come out and talk openly about our long term state and national interests and, as the Opposition Leader said, take the politics out of the debate. Today, South Australia’s energy future is being written in fear. Fear of most voters about nuclear power. Fear of our leaders about voter backlash. This vicious cycle is outweighing our pressing state, national and global interests, and we must overcome it. As a little epilogue, I have received confirmation that Walkerville Council will be my host for a community event in March 2012, where I will put my case for nuclear power to that community. Could it be that political courage is not dead, it’s just local? I understand Ms Redmond volunteered to be tasered as a test of character. I hope that stands in good stead when SA runs out of coal and gas, that gas needed not only for baseload but to enable the large wind capacity that Safstrines seem proud of. I think some 40% of SA people are positive to nuclear power but they are generally low profile. Perhaps it will need a footballer or an art maven to endorse nuclear. Rann is an oddball because he thinks uranium use is good for the world but not not for SA. Geothermal and ISL near the Flinders Ranges uranium bearing granites are good things but not hard rock mining. Being green and wind powered is a good thing somehow this will enable SA to increase its population 30%. My message to Rann … see ya. The full nuclear fuel cycle is SA’s best shot at remaining vibrant economically. That is mining, enrichment, generation and waste disposal. Add in cheaper desalination and interstate electricity export. Otherwise I fear Adelaide will become a backwater dependent on military makework projects, car subsidies and retirement villages for post WW2 immigrants. Rann wasn’t up to the challenge nor evidently is Redmond. In the previous comment I should have said 4th generation nuclear not waste disposal. I see the SASDO2011 report gives 13 years as the time to depletion of Cooper Basin gas and that 44% of SA’s stationary energy comes from gas. It then implies that Qld and Vic gas can help for several more decades, presumably natgas not CSG. Don’t think so they are in the same boat. Mind you that same report shows a 500 MW geothermal baseload station in the Simpson Desert and fails to mention the world’s largest uranium deposit. Surely Ms Redmond’s favoured trigen is not the way to cope with heatwaves. Imagine a gas fired air conditioner when the temperature is already 45C. Heat shimmering on the ground, heat shimmering from the flue stack. I’d say she has been gotten at by a spruiker and hasn’t had the realities pointed out. Even if the nasty uranium business is for others to take to the next step SA won’t be able to maintain even the uranium mining industry unless it gets reliable new generation. The much loved 1100 MW of wind capacity will also need backup from something besides gas. I’m not sure where premier-in-waiting Weatherill stands on any of this. As of now Redmond seems more like Rann-lite and will go the same way if she gets the top job. Love your idea of celebrity endorsements John Newlands. That stuff works. People are strongly influenced in their opinions by whether or not another person shares them, the more so the more they can empathize with that individual. In all seriousness, this is something Ben could really use. How quickly you forget the reaction to Cate Blanchett’s “coming out”. It was firmly in my mind as I wrote, and is partly why I pointed out the importance of empathy. Cate Blanchett is no everyman. I work for a worldwide consulting group who has on ocassions done work in nuclear energy. We don’t anymore and not for the immediate reason you might think. The projects and the money which we’re tasked with matching up won’t go near NPPs. So you are, in effect, asking the State to fund NPPs off a very low approval base facing a Conservative alternate agenda that is anti-subsidy. Can you see the disconnect in the community? I am not stupid. I do not I think this is easy. I am not trying to build a movement for something where no change is needed, or the change will be easy. I know nuclear plants cost a lot to build, because I have written about that, repeatedly, and you have read it, and commented on it, repeatedly. I know it’s socially unpopular and therefore political anathema. You may have noticed that was THE THEME OF THIS POST. So for God’s sake, would you stop bringing up these facile arguments as though they are news to me? Arguments that seem only to lead into a direction of giving up and accepting the hand we are all being dealt for the future by reverting back to strategies whose main feature is that winning combination of political palatability, excitement for renewables fanatics and no chance of working (a point that has been established repeatedly both here and particularly at BNC). It is an irritation. The very concept of this blog is that it is well and truly post the question of whether nuclear could be embraced by Australia and the world, and rather more focussed on the fact that it must be or we will fail to reign in climate change. If you don’t agree with that point, fine. My new page (“Who gets it?”) may help you appreciate that you are in shrinking company. But it means that the point of this blog is to create change. So mate, do me a favour. You can bring something interesting or constructive to the comments. You can just enjoy my posts in silence. But please, just drop the attempted white-anting of my message with issues I have been incredibly clear about from day one. Otherwise you are but part of the problem, and I don’t have the head-space for you. It’s not possible to “white ant” the brick wall you’re keen to bang your head on, so you’re right; my posts have been circular. I think that’s precisely the nature of the issue. Not to my thinking it isn’t. I am interested in mobilising people’s potential, intelligence, drive and passion to solve a problem, not point my fingers at it and say “Wow. That’s really hard. I think we should all do something else even though it won’t work”. So please keep your unwelcome condescension to yourself and, as I say, unless you have something constructive to add as to how this difficult nut can be cracked, by all means keep your perpetual nay-saying to yourself as well, as it serves no constructive purpose. Yes, very well put Ben – both here and in the main post. Nuclear power may be politically difficult right now but at least it is technically possible. We are promoting a zero-carbon, fossil fuel power plant replacement that has been be deployed at scale within a decade. C’mon Zvyozdochka, you understand the realities of our going solely with renewables. You understand that with nuclear excluded we do not have the commercial technology to reduce our CO2 emissions to a climate safe level (The public doesn’t know this – largely because people like you refuse to make it clear). You understand that without nuclear our only ‘choice’ is to continue relying predominantly on fossil fuels while we play around the edges with intermittent wind/solar and pursue expensive, under-developed technologies (geothermal, CSP with storage) whose commercialisation as 24/7, zero-carbon power generators is so distant that they may never make it to broad-scale, affordable commercialisation, or if they do, will do so too late to have prevented dangerous climate change. NP can be deployed now, Zvyozdochka, right now, and the only thing stopping that happening is YOU. You are supporting, encouraging and defending anti-science positions within the community in order to… what? Line your own pocket? I don’t want to believe it’s as simple as your own short-term, self-interest, but if you knowingly lie to the public about our current renewable’s capabilities, what other conclusion can one come to? I know one thing, if you are prepared to defend higher carbon policy decisions that are born out of community ignorance and political fear, your purpose here can’t be to prevent climate change. Can’t you see the disconnect between what must be done and the dishonest, non-solutions you and your ilk are promulgating? What is the point? SA is only a decade away from an energy crisis but the warning signs are already here. When temps exceed 40C perhaps in February the 1100 MW worth of wind farms will produce maybe 100 MW. Some 80% of Adelaide homes will run a 2.5 kw air conditioner while just 3% will produce 1 kw of rooftop PV. A couple of years from now the remaining Pt Augusta coal station will get a 10 or 20% solar boost in the middle of the day if it is sunny. 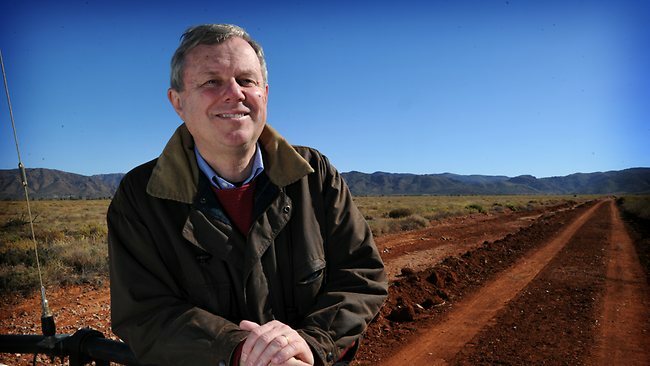 The Olympic Dam expansion will be deferred as no-one knows where the required 700 MW will come from. If we are in El Nino conditions the Pt Stanvac desal will be running flat out. Geothermal will still be asking for money to prove themselves. 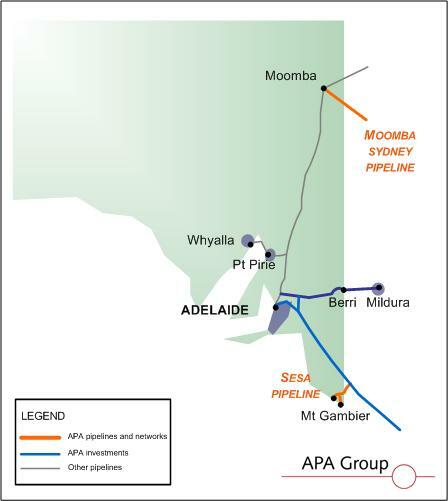 As the Moomba gas field runs out of puff some serious capital will be needed to connect to eastern Queensland coal seam gas. The catch is that SA will have to pay the export price for gas. Imports will increase of brown coal fired electricity from Victoria. Those imports will heavily carbon taxed and it will be difficult to balance local wind power. This is evidently what SA’s political leaders want. A plausible worst case John. At the moment we are running on rhetoric in the state, which is not a plan, and at the Federal level we are running on one huge geothermal gamble to take us to 2050 (see Martin Nicholson’s excellent post over at BNC) which still leaves us with astronomic levels of emissions. None of this constitutes what I would consider a plan. You might as well both say the current SA energy planners and commercial operators are idiots. Your particular case is not advanced with language like this. Your words, not mine, so I will thank you to take them out of my mouth. Both the state and the country are politically limited as to the generation technologies we can consider, so there is nothing surprising that we are stymied with plans that will deliver inferior outcomes. I trust no one minds if I make the call that this is the very definition of Concern Troll. My “concern” was that I came across a blog that was prepared, it appeared to me, as part of it’s case for NPPs, to claim that renewables “don’t work”. If you want to make that a centrepiece of your argument (or your poster’s do) you end up with awkward results like the SA wind experience, and working against the “informed’ money. Ultimately, thanks to appauling leadership and a deplorable media the only carbon reduction option (in generation) we have is to ensure the solutions make commercial sense. The vested fossil interests are too strong. I guess that’s were I come from. I would describe myself as “agnostic” for NPPs in countries that already have them, horrified as to the way Chindia might operate them and opposed in Australia. So that said, I’m happy to be considered “part of the problem” if that suits your meme. I enjoyed the various discussions and hope you won’t take any of it personally despite the immature start on my part. At this point Zvyzdochka has corresponded with me and indicated (quite magnanimously) that he/she will not be continuing at the blog. This of course gives me the benefit of the last word, which I will not exercise out of a sense that it is wrong to throw a punch when someone has turned their back to leave the ring, so I make no direct response to the above. However for the benefit of newer readers, Z was the third highest commenter on this blog (after myself at number 1) and this conclusion of affairs has not been reached unduly or without our positions and opinions being well and truly explored. DSA is absolutely open to exploring people’s agreement or disagreement with the deployment of nuclear power in Australia. If that’s something you are seeking, come on board. I would suggest you begin with reading the pages “Welcome to Decarbonise SA” and “About the Founder”. This will give you a crystal clear picture of where I am coming from on the issue and discussions can go from there. If agreement is not reached or progress and useful learning is not evident after a while, it’s probably not the blog for you because, as you will read, it is actually a blog with a goal other than discussion. O.K., I’ve tried to be as Zen as you Ben, but it’s just too galling to have to let the mis-characterisation in Zvyzdochka’s first 3 paragraphs go. Besides, he makes a point that I’ve heard before and here is as good as any place to answer it in a more general sense. Pro-nuclear, climate activists often point out the limitations inherent in our various renewable technologies, is this the same as asserting that renewables “don’t work”? Well, it all depends on what one means by “work”. If you mean that non-hydro renewables can be used to generate zero-carbon electricity when the sun shines or the wind blows, then yes, in that sense renewables most definitely do work and I don’t think anyone would argue otherwise; but if you mean they are all we need to decarbonise a modern western society, then no, despite concerted efforts, running over decades in some countries, they have not even come close to “working”. Remember, without nuclear power in the mix, 20% renewable generation (the best anyone has managed so far) means 80% fossil fuel generation… and that means climate change. That he/she was willing to, yet again, quite blatantly misrepresent my position on renewables as you have discussed above, is the reason Z beat me by 5 mins in giving him/her the flick anyway. Debate is fine. Being willfully and repeatedly misrepresented so as to deceive other, newer readers, is not. You, as ever, got it in one Marion. WTF? I mean, that is just absurd. But more generally, I don’t think Ben could have explained himself more patiently or thoroughly. Nobody is saying this is easy. But that doesn’t mean it’s not worth trying to do. I think that energy planners have been given a rough script by their political masters and in particular told what not to say. Hence it may pay to check everything. I’m looking into the claim in the SASDO11 report that SA could possibly access up to 70 years of gas from Vic and Qld. These images clarify the picture gas flows SA-Vic and gas flows SA-Qld . Pipe capacity is given in terajoules per day which I translate as mulitples of about 12 MW thermal or 5 MW combined cycle electrical. Since Victoria’s Otway Basin will expire around 2030 (same as Leigh Ck coal) on present consumption (not increased) I stick to my original claim. The only way for SA and Vic to continue using piped gas in the medium term future is to access coal seam gas from eastern Qld. The AEMO report didn’t say specifically this nor was it mentioned to whoever advised Redmond about trigen. When Rann (gone but not missed) said SA should go for broke on wind power he obviously thought or was told there was decades of cheap gas. I disagree.